Many people are familiar with the first spelling, faint (to slip into unconsciousness) but don’t know that when they mean a deceptive movement or action, it’s spelled feint. Sarah didn’t know the gun wasn’t loaded, so when Jimmy made a feint of pulling the trigger, she fainted. These two are easy to confuse. A faun is a mythological creature that is half man, half goat, like Tumnus of The Lion, the Witch and the Wardrobe. 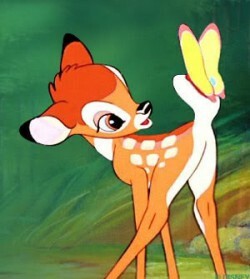 A fawn is a baby deer, like Bambi. In Narnia, you are more likely to see a faun with an umbrella than a doe with her fawn. If you are fazed, you are disturbed, disconcerted, discombobulated. A phase is a stage in a developmental process. You get fazed, but you go through phases. He was not fazed by the many phases of the process. Feet is the plural of foot — that thing at the end of your legs. A feat is a extraordinary act or accomplishment. His most amazing feat was juggling flaming spatulas with his feet. Until recently I had no idea there were two different words for this. A fiancé is a man engaged to be married, and a fiancée is a woman engaged to be married. And, yes, they are pronounced the same. And this is Sally, my fiancée,” said Bob. Phishing is a recently coined word for unethically seeking financial or confidential information by sending phony emails. It’s a technical term that plays on the figurative use of fishing in phrases like “fishing for information.” That kind of usage is still correct. The ph spelling only applies to this deceitful use of email. Ed got so tired of deleting phishing emails, he left the office early and went fishing. Writers mix these up all the time. Flair can mean a sense of style, panache, pizzazz (If you had any flair, you’d ditch that t-shirt.). It can also mean a natural talent or aptitude (He’s got a flair for cake decorating.) Flare, on the other hand, has to do with light, fire, or burning. Shelly has a real flair for designing fireworks displays with multicolored flares. If you mean the tiny insect that plagues dogs, it’s flea. Flee means to run away. When we learned the house had fleas, we had no choice but to flee the area. Here’s another threebie. Flew is the least troublesome — that’s the past tense form of the verb fly. Flu — without the e — is short for influenza, the illness. When you are talking about a duct, especially a fireplace passage, you mean flue. The fly flew up the flue and fell on a fellow fighting the flu. Flow is by far the most common word. It has several uses as both a noun and a verb. Floe, however, has only one definition: a floating sheet of ice. Flo is a woman’s nickname — short for Florence. Flo stood on the river bank and watched the ice floes flow downstream. These are two common words that are typically only confused due to carelessness. Remember that a flower grows and flour is an ingredient. Mandy paused to smell some flowers before going back to sifting flour for the cake. For is the preposition. Four is the number. Fore means the front or near the front of something. I have four reasons for bringing this issue to the fore. These are easy to confuse. Forbear is a verb meaning to hold back or refrain, while forebear is a noun meaning ancestor or forefather. Technically, they are not pronounced the same. In forbear, the accent is on the second syllable, while in forebear, the accent is on the first. Even when I am angry, I forbear to insult a person’s forebears. There is popular confusion on this matter, but both of these words should usually be pronounced the same. See this post for more detail. Fort is sort of short-hand for fortification or fortress — a place occupied by troops and fortified by walls and and/or trenches. Forte means an area of strength, talent, or proficiency. It’s also a fencing term for the strongest part of the sword blade. Building tree forts was never my forte. Forth is an adverb meaning forward. When you are talking about counting, you mean fourth. At the ceremony, Stanley was the fourth honoree to go forth to receive his medal. A fowl is a bird. All other uses — and there are plenty — require the spelling foul. If you leave a dead chicken in the sun, that fowl will begin to smell foul. A friar is a monk. The word comes from the Middle English word for brother. Frier and fryer are both acceptable ways to spell the name for a device for frying food, as in deep-fat frier (or deep-fat fryer). But if you are talking about the kind of chicken that can be cooked by frying, you mean fryer (not frier). The person who does the frying can also be referred to as a fryer. Since we were having the friar over for dinner, I volunteered to be the fryer and throw some chicken in the deep-fat frier. Faux is a word clearly derived from French, meaning fake or an imitation. A foe is an opponent or enemy. The criminal donned a disguise, including a faux mustache, in order to evade his foe, Sherlock Holmes. More than one piece of verifiable information would be called facts. Fax is how we spell the word for a document transmitted electronically over phone lines. It can also be the verb for sending such a document. When I asked him for the data, Ed sent a fax with a list of all the facts. Did you know you can follow WriteAtHome on Facebook, Twitter, Pinterest, and YouTube?